I’ve known the boys in Steel Beaver for years. The 80’s rock scene was all about excess… louder amps, guitar solos, big parties and even bigger hair. 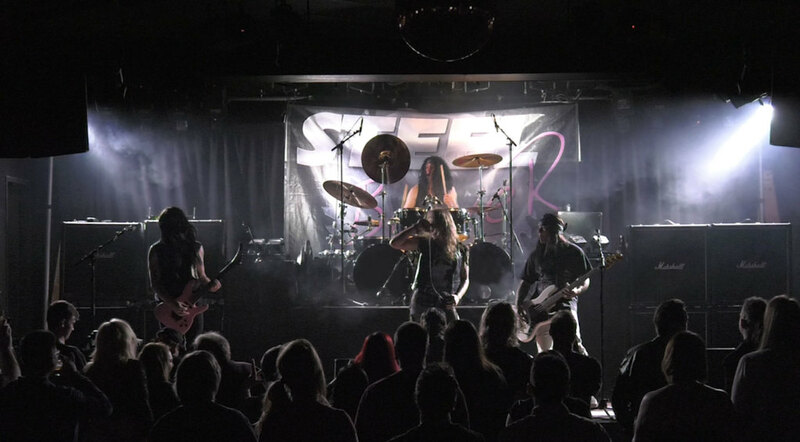 Steel Beaver is 4 guys from Canada who obviously like beavers, but who also want to pay respect to the decade that perfected metal. The singer is fu@kin’ amazing! I’m telling you right now, Steel Beaver is the real deal. These guys play it raw with no recorded vocal tracks and take you back to a time when club shows rocked. Cuz let’s face it, rock shows are pretty lame these days! The 80’s hair bands sold hundreds of millions of records and everyone always sings along to the hits still played on the radio today. You gotta see these guys to believe it… I mean really, how many bands have you heard play Skid Row and actually sound like it for real?